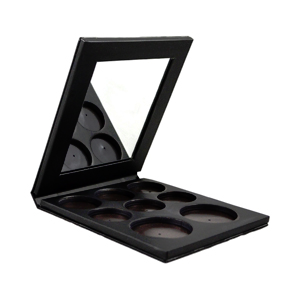 Empty Blush and Eye Shadow case contain 2 open magnetic slots for Blush and 6 open magnetic slots for Eye Shadow. All in one convenient case to fit your favorite Scene Cosmetics Blush and Eye Shadow pans. Full size mirror inside. Perfect for travel to fit both warm and cool toned looks.